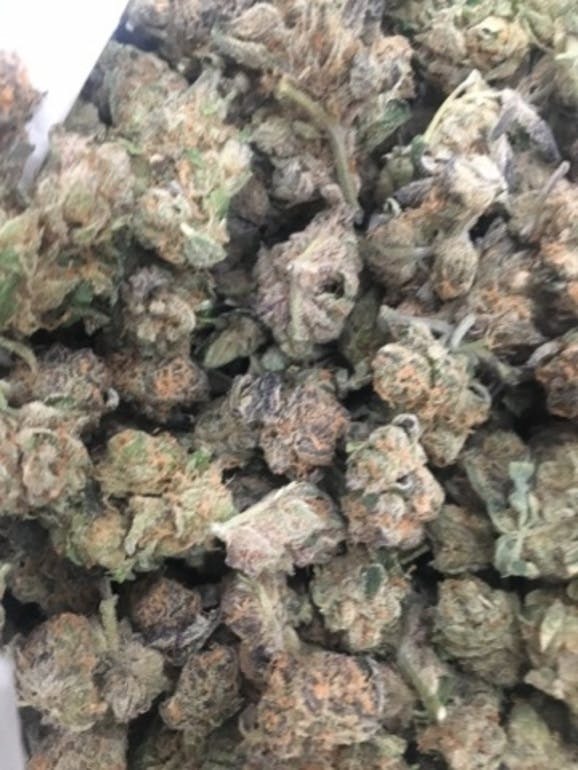 Indica Dominant Hybrid - 60% Indica / 40% Sativa - THC: 28% Girl Scout Cookies is an indica-dominant hybrid with a strong sativa component (40:60 sativa/indica ratio). This strain can reach THC levels of up to 28%, meaning it's one of the most potent strains available to medical marijuana patients. This strain provides the best aspects of both sativa and indica, and the high is powerful, happy, and euphoric, but with couch-lock body effects and feelings of lethargy. Girl Scout Cookies tastes sweet and earthy, and it smells much the same. It's most effective at treating anxiety, stress, and depression, though it's also good for appetite. Dry mouth is the only likely adverse effect, though others are possible. This strain began as a crossbreed of OG Kush and a near-even hybrid; (Durban Poison X F1). Girl Scout Cookies first appeared in California and is now one of the most popular strains in North America, where sells best on the West Coast and in Michigan. The high lasts for hours, making Girl Scout Cookies a good deal in most places. It can be difficult to grow, but it's fast becoming a staple among home cultivators.